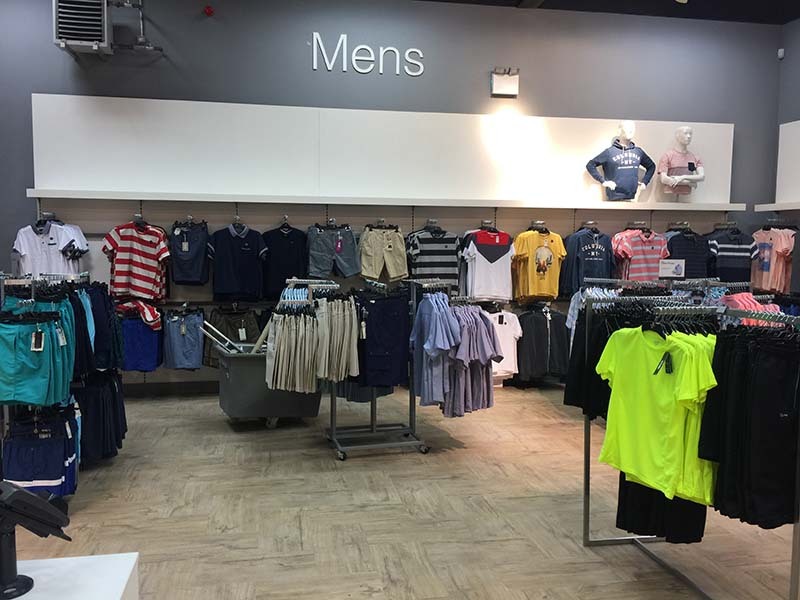 Kavanagh Engineering has just completed a major shop fit-out project for Dunnes Stores in Dungarvan, helping to make the store more spacious and more inviting for the consumer than ever. Our contract was on a 500 sq. metre (5,400 sq. ft.) extension to the drapery department of what was already an extensive premises in Dungarvan Shopping Centre. 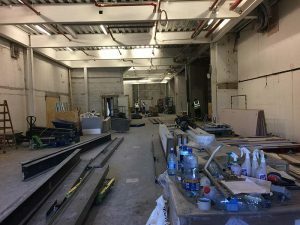 Dunnes management had decided to make alternate use of a stock room and mezzanine floor, and engaged us to carry out the work involved. What the store room looked like as we got to work to convert it to retail space. One of our first tasks was to demolish an 8 metre by 40 metre dividing wall between the stock room and existing retail space. This work was carefully planned so it could be conducted in a manner that would not disrupt ordinary store business. We sectioned off the area in question, worked mainly outside of regular opening hours, and removed all rubble according to health and safety guidelines, to ensure constant customer and staff safety. In fact, we were so efficient at removing the rubble that not even one single instance of dust creeping into the shop was reported. Subsequent tasks included erecting plaster board walls, laying electrical and data cabling, and décor work such as painting. Again, much of this work was also carried out at night, to cause minimum disruption to business. 6 a.m. on opening day – and work almost complete. We were working to a strict deadline, but we met that deadline through careful planning, efficient work practices, and ongoing liaison with store management. Dunnes were able to open their new retail space on time, and the reaction from the shopping public has been very positive. The new-look Dunnes Stores in Dungarvan is testament to what Kavanagh Engineering can achieve in the area of shop fit-outs. 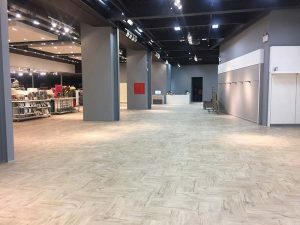 If you are planning to extend retail space, or hoping to make better use of existing space, just contact us and we can get to work for you too.